Four female vocalists who use improvisation in their performances. Each vocalist chose a specific location in, or around Belfast, Northern Ireland to perform. Video and audio material of the four performances was captured at each location. Installation utilises 8 channel sound system, 4 video projections/screens and mac running Ableton Live and Quartz Composer. Documented on 8th of September 2015, Belfast. Sonic Arts Research Centre, Queen’s University. Mina Kimović​ (Una Lee) has a background in playing piano in a European Classical setting. 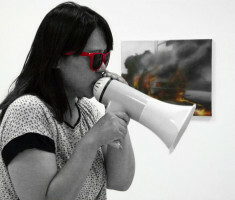 She has been performing with improvisation and pursuing performance art practice in the last three or four years. 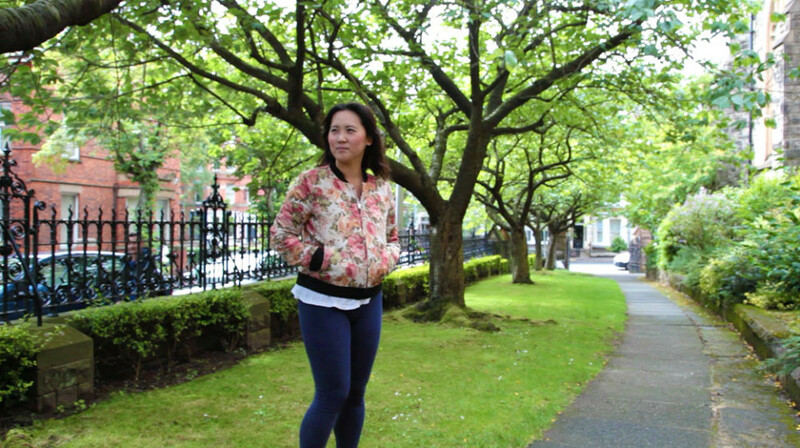 Mina was born in South Korea, but spent her adolescence and twenties living in Germany, she is currently living in Belfast and has been living in Northern Ireland for two years. Fisherwick Church, Chlorine Gardens, Belfast. Catherine (Camel) Hatt​ is originally from the West Midlands of England and has been living in Belfast for ten years. She has been a singer since she was a child, but moved into theatre and drama around age 18. Since moving to Belfast, Catherine has written and performed her own songs and recorded two albums, while continuing to write and direct in theatre. Holy Well of Cranfield, Lough Neagh. 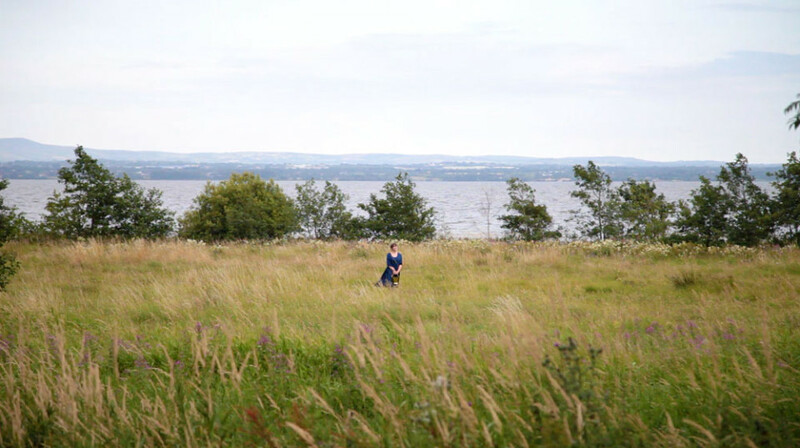 Catherine’s location was just outside of Belfast, on the North Shore of the Lough Neagh, she was interested in the Holy Well which Catherine related to the original “Virgin Mary grottos” idea for the project. Caroline Pugh​ was born in Edinburgh, Scotland and has lived in Belfast, N.Ireland for over eight years. Caroline and I have worked together a number of times. Using vocal improvisation, we have performed as a duo and in ensembles together. Caroline’s solo practice involves working with traditional Scottish and Irish songs and her performances often utilise other tools, such as tape recorders, loop station pedals and no­input mixer feedback. Forest, Lagan Towpath, Stranmillis, Belfast. “I picked one of my favourite places to meet people. I’ve been on dates there, I’ve talked to random and strange people there, I’ve hung out with friends. It’s got lovely acoustics for a natural space outdoors, and it means many different things to me. Meabh Meir w​as born in Belfast, Northern Ireland and has lived most of her life here, except between 2007 ­ 2010, when she lived in Dublin to study a Degree in Fine Art Painting and Visual Culture. 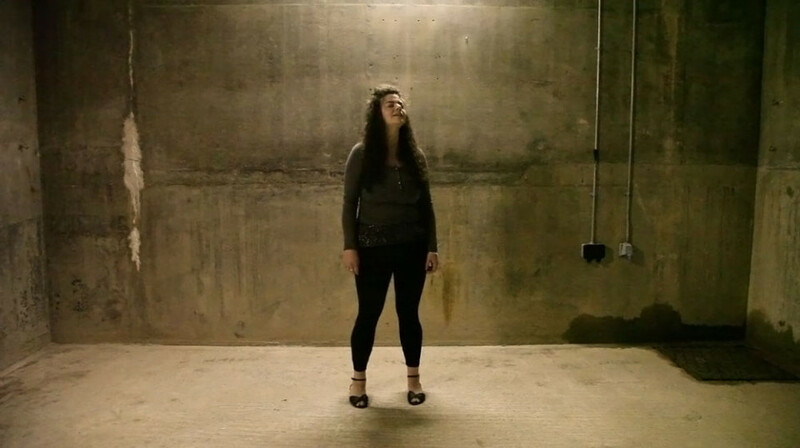 Meabh has performed as a tradition Irish singer in groups and as a solo artist, we have also collaborated and performed together, while working with Canadian singer, Lisa Conway on her Sonic Arts Masters in 2014. Currently Meabh is working on a project exploring sound/voice therapy. River Lagan Weir (large underground space) , Belfast. 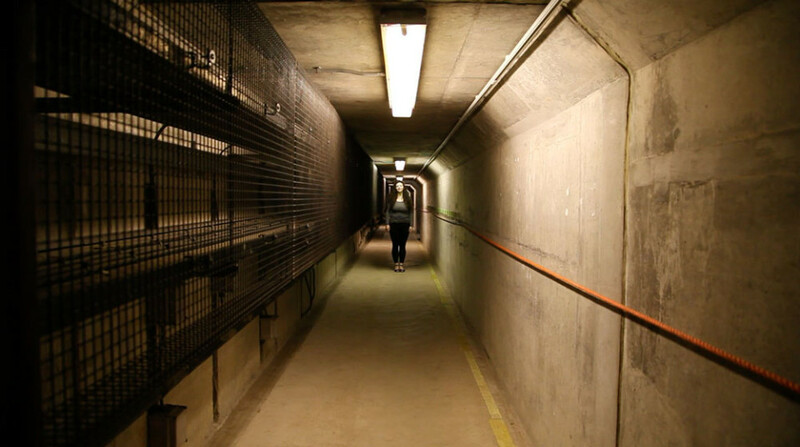 Meabh chose this location primarily for its acoustics, it was a collection of large disused concrete rooms, at the end of a tunnel that runs along under the River Lagan. This location had a huge acoustic reverb, it was cold and desolate, but the unique acoustics made for an incredibly ambient space to perform and record in. 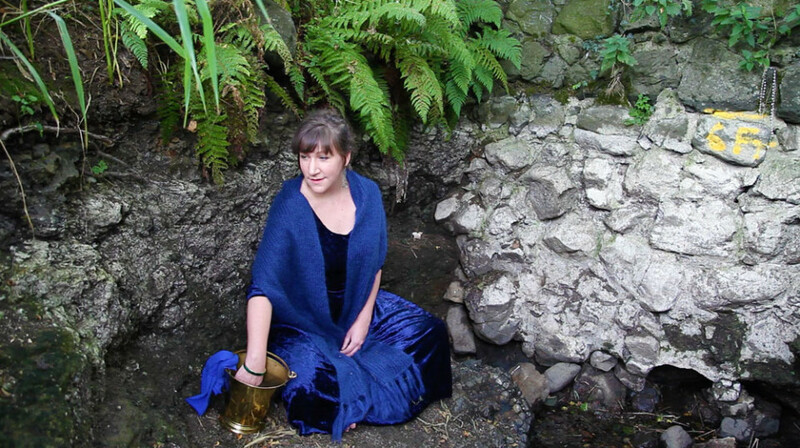 At the Holy Well of Cranfield in Lough Neagh, Catherine interacted with stones, water and the birds around her. Catherine made the Holy Well a central focus of her performance, notably creating a playful melody with the words, “Oh well, oh well, oh…”. 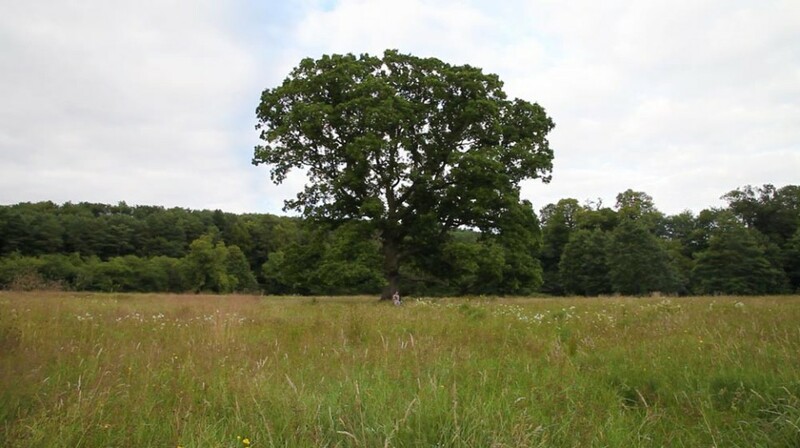 Acknowledging the traditions associated with the Holy Well and nearby Cranfield Church, Catherine had brought a bucket and rag to wash and then hang on the nearby tree. “According to the custom, one must bathe the infected part of the body with a rag dipped in the well, pray and then tie the rag to a large overhanging tree. 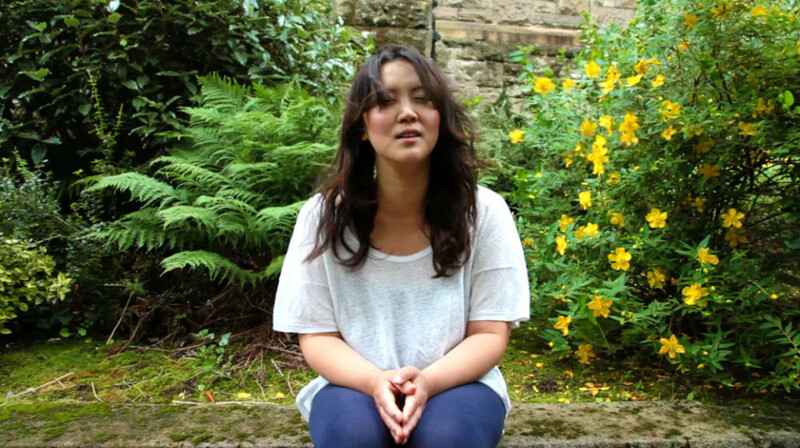 In Caroline’s video we see her perform with her eyes closed, she appears meditative and relaxed. 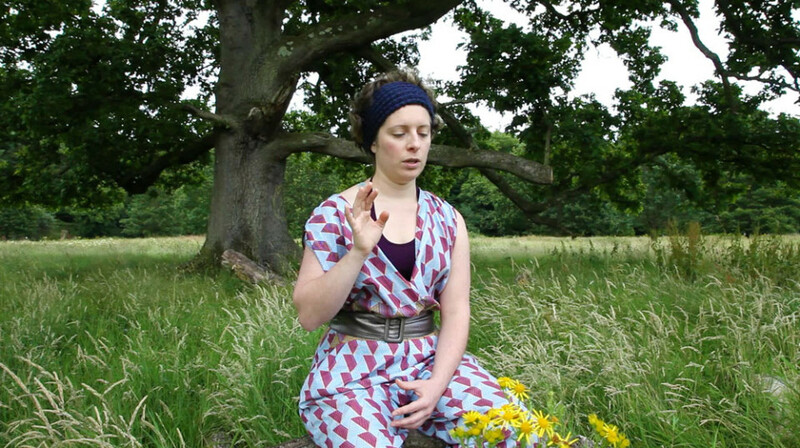 After several minutes of high pitched “whistle register” and warbling vocalisations, echoing around us in the forest, Caroline moved into a quieter spoken word movement. We hear her speaking about a seemingly paradoxical concept, of a “curve, and all straight lines are also part of the curve” and it suggests a reflective, philosophical state. The use of extended vocal techniques could be heard with both Mina and Caroline, who have similar backgrounds with performance art and improvisation. Meabh and Catherine’s styles reflected extreme, almost polar, differences in the intensity of their voices. Singers interviewed by Martin Byrne.